Author’s note: I still have not thought of a name for the sequel. So for now, it shall be called the elaborate name of PPP Sequel. This is a recap of events as we left them in Pride and Prejudice and Poison. Mr. Darcy and Elizabeth Bennet had just gotten married in a double wedding with Jane and Mr. Bingley. Miss Bingley was beside herself with jealousy. Lady Catherine de Bourgh was incarcerated in Bethlem Hospital also known as bedlam, for attempting to murder Elizabeth via poison. Miss de Bourgh and her companion Mrs. Jenkinson were happy that Lady Catherine was gone, though it did not go quite according to their plan. “What was that, my dear?” Elizabeth looked in the mirror to see Mr. Darcy walking towards her. She smiled at him still amazed at how very lucky she was indeed. “I would not do anything about it. I love my wife just the way she is.” Mr. Darcy looked in his wife’s eyes and then lowered his head and kissed her. He was still in awe of his good fortune and if he did not have such good control over himself, he would have pinched himself several times today. Mr. Darcy shook his head. “Of that I will not.” Elizabeth ran her hands down Mr. Darcy’s chest. He was still fully clothed in his wedding attire as was Elizabeth. Now that the wedding breakfast was over, it was time for them to begin their journey north, to the beautiful Darcy estate of Pemberley. It would be a journey of a few days. Georgianna and her companion Mrs. Annesley would be accompanying them in their carriage. Elizabeth thought they should start out with Georgianna in their carriage as Mr. Darcy had not been with his sister for several months. Yet she felt guilty for being glad Georgianna was in her own carriage, for Elizabeth wanted Mr. Darcy to herself for awhile. “Stay? Have you met my mother? N,o I think it is much better for us to leave as quickly as possible.” Elizabeth was of course thinking not only of her mother, but of the Bingley sisters as well. Especially Miss Bingley. There was a new feeling she picked up from Miss Bingley since her engagement, and it was not a good one. She would much rather be far away from those two sisters. She knew Mr. Bingley was a good friend of Mr. Darcy’s, but hopefully when Jane and Mr. Bingley visited them at Pemberley, they would do so without the Bingley sisters as well. Elizabeth never did figure out what Mr. Hurst did other than lay around and get drunk every day. She could not imagine having a husband like that. “Yes, I imagine we should.” Mr. Darcy sighed. “This marriage business is exhausting.” Elizabeth smiled. She agreed with him but it was not every day a girl got married. And for her, she planned that it would be done just once in her life. She was quite tried though. She had not slept a wink the night before. Elizabeth had finally given up and peaked in Jane’s room, to find her awake and sitting up as well. Both sisters talked of how excited they were yet nervous and their plans for the future. “Oh, I am sorry Fitzwilliam.” Saying his name still sent tingles through her. She smiled radiantly at Fitzwilliam. “I was thinking of who I would miss and was sad when I thought of being away from Jane and Papa.” Mr. Darcy squeezed her hands. “I have it on good authority that Mr. Bingley is in the market for an estate near Pemberley. You shall in the future not be too far from Mrs. Bingley.” Elizabeth squeezed his hands. 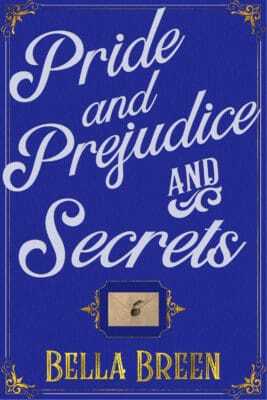 Mr. Darcy leaned in and kissed Elizabeth again, longer than the kiss before. He had better leave and start the proceedings to leave for Pemberley or if he was not mistaken, they would be spending their wedding night here at Netherfield. Not that he wanted to spend it on the road, but he certainly did not want to spend it at Netherfield. Mr. Bingley’s sisters would be too interested in how Mrs. Darcy was feeling the next day. ——- “Georgianna, how is your packing? We are ready to say our goodbyes.” Georgianna opened her door to reveal her cases sitting very neatly by the door. “I see that you are ready!” Georgianna was never ready for anything on time, so this surprised Mr. Darcy. “Have I surprised you brother? I am so very excited to go back to Pemberley with you and Elizabeth. I hope that I can ride in your carriage too? At least some of the way? Elizabeth has been so busy that I barely have had a chance to speak with her.” Mr. Darcy could not deny his sister anything. Plus he had been quite busy as well and not had enough time to spend with Georgianna either. “Ye,s you can. Let us have the first part of the trip, until we change horses. Then you may join us.” Georgianna smiled and twisted her hands. She wanted to give her brother a hug, like she had seen Elizabeth do many times, but Mr. Darcy was not much of a hugger. She knew Elizabeth was working on changing that, as she had told Georgianna as much. But thinking about hugging her brother and actually going through with it were two different things. ——— “Well my dear child, I daresay you should have a splendid time at Mr. Darcy’s estate. What did you say it was called? Oh that’s right, Pimbly.” Elizabeth closed her eyes. Of all the places for her mother to mispronounce, she had to do it in front of people that had actually been there. Elizabeth could not wait to leave. “And you know the same in reverse. Come back to Longbourn at any time. I shall miss you. Make sure you write.” Elizabeth hugged him once more time and then let go.